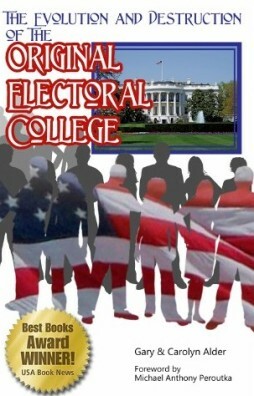 As more and more of the states chose Electors by popular vote (see page 20), the process became more outcome based. Most people would not know who would be good at picking potential presidential candidates and therefore turned to their political parties to know who the parties wanted to win the presidency. They could then vote for the Electors who would support that candidate. This effectively opened the door for the people to vote for a president, albeit “indirectly”, by voting for Electors who supported a certain presidential candidate. To change from voting for an Elector who was committed to a certain candidate to having the presidential candidate’s names on the ballots was an easy move. To say “electors for” on the ballot left little question in the voter’s mind and avoided any research. Once the people get used to seeing the presidential candidates’ names on the ballot, the “electors for” can be dropped.